The race to fill state Rep. Knute Buehler’s spot representing Bend in the Legislature has had one candidate stop campaigning and another opposed by his party, but voters will still have three choices on the ballot. Vote Cherie Helt for House District 54. She is the best candidate for the job and the only reasonable choice left. 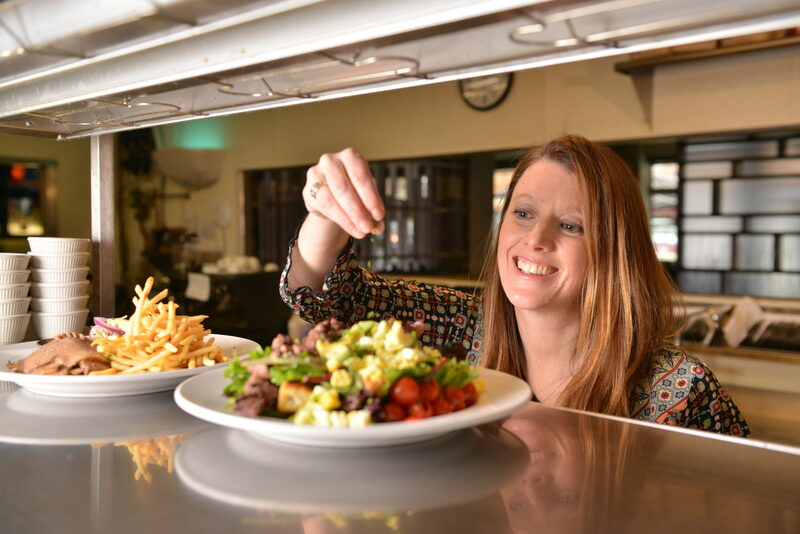 Helt, 48, owns two restaurants in Bend — Zydeco Kitchen and Bistro 28 — and has been on the Bend-La Pine School Board for 8 years. She’s been active in other ways, helping to support the Kids Center and raising money for scholarships for high school students. Because of the way her opponents floundered, voters have been denied an opportunity in this race to have a debate on the issues. So let’s look at some of what Helt would like to accomplish. Her top priority is to improve the state’s education system. Plenty of students in Oregon get a good education. The state, though, lags far behind in critical performance measures, such as the dropout rate. With her experience on the school board, she is well prepared to fight to make a difference in the Legislature. She knows how school districts must make difficult choices with limited budgets. Should a district offer high school students more options or focus more on keeping class size down? She has pushed for more options — particularly at the high school level — to help keep students in schools. If elected, she also wants to see the career and technical training that voters asked for in Measure 98 fully funded. She is proud of the efforts the Bend district has made to make school entrances secure, and she wants to ensure every school district in Oregon is able to do the same. She would like to see the state offer a program to make that happen. Helt has also been an advocate for making changes in the state’s Public Employees Retirement System. She knows pay and benefits are important to attracting good state employees. PERS costs, though, are undermining the ability of schools to put resources in the classroom. She wants to look at ways to lower costs, moving forward. The two business she operates with her husband give her great insight into how state policies can make life difficult for small business. It’s notable that her businesses offer both retirement and health plans, which is not something every restaurant makes a priority. Helt is a Republican. She is not particularly partisan. She’s fiscally conservative and socially moderate. That’s what a diverse district like Bend needs. Bend deserves better than her opponents, Amanda La Bell and Nathan Boddie. In the Voter’s Pamphlet, Working Families Party candidate La Bell awarded herself a bachelor’s degree from Valdosta State University that she never received. Democratic Party leaders attacked Dr. Boddie, a Democrat, in a very underhanded way. They trotted out vague allegations of sexist behavior and use of a homophobic slur without any details. Various left-leaning groups dumped their support. At that point, how was Boddie supposed to defend himself? What were voters to believe? But when a Bend woman came forward with an allegation of Boddie groping her in a bar, the way Boddie attacked her showed a wholesale lack of judgment and class. He doesn’t deserve your vote.